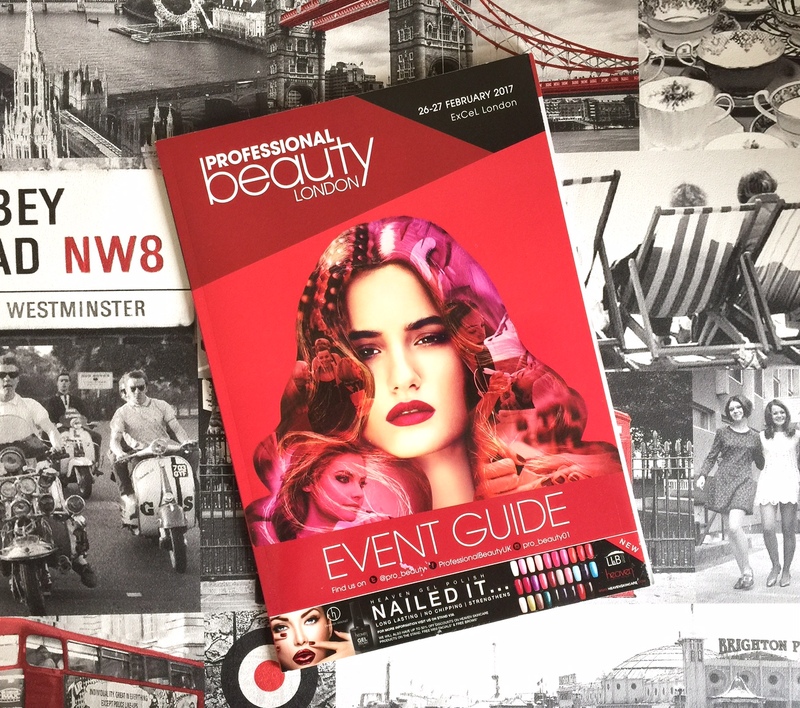 I went to Professional Beauty London which was held at the London Excel Centre the other week. I bought a few things because the prices were so good I couldn’t resist. In this post I’m going to share with you what I got and what my first impressions are of them. Now I did buy a few things for some giveaways I am planning to do on my different social media platforms, so I won’t be including them in this haul as I want it to be a suprise for you all. Be sure to follow me on Instagram, Twitter and Facebook to see when the giveaways go live. Right lets get to the good stuff, the shopping!! So as you can imagine at events like this there are lots of different sellers selling different products, and running different promotions. Now when I see a deal I get a bit too excited and can sometimes just go for it because the price is good, but whilst I was here I wanted to make sure I was getting the best deal for my money and not just spending for the sake of it. The majortiy of the brands I recognised and had heard of before, but there were some which I hadn’t, so I was intrigued to find out about the products they sell and what their all about. One of the brands I had heard of but not seen before was Melody Claire, they make the depilator which efortlesly removes hair and exfoliates the skin. At the stand they were doing demos of how it works, this is something I love about shows being able to see the products being used before you purchase. It is a hand held device which you attach the adhesive pad on to, you then use small circular motions back and forth to remove the hairs effortlessly. You can use it anywhere apart from your head and a males beard. I tried it on myself and at first was a bit apprehensive thinking it may hurt, but suprisingly it didnt at all. I only tried a small area of my arm where it isn’t noticeable just incase it went wrong, but thank the lord it didnt. The thing I like the most about it is the fact is doesnt take long at all, so imagine the time saved. The pack comes with 1 large backing pad, 1 small backing pad, 4 large replacement pads, and 4 small replacement pads. So far I am a fan of this product because of how easy and effective it is to use. 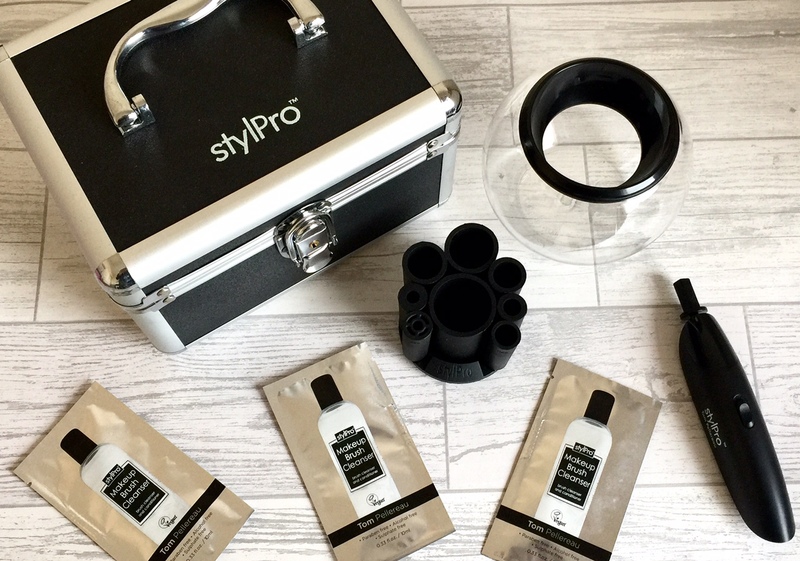 The item I was most excited about buying was the StylPro, I knew it was going to be at the show before I got there, and even had the location written down…yes thats how much I wanted to see the StylPro in action. So when I got to the counter the two ladies working there were so nice, and I ended up chatting away with them for quite some time. I watched the demo of the StylPro in action quite a few times, and each time I was amazed at how the brush was clean and dry in such little time. I already knew I was going to get one, but it was nice to see it first and be able to ask the lady some questions about what products best to use with it etc. 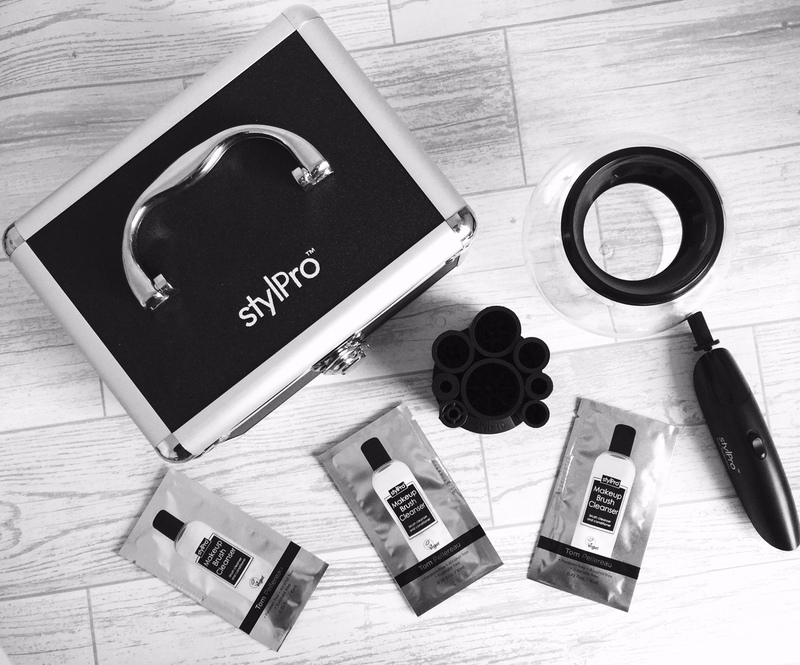 I ended up getting the StylPro unit which comes with brush collars, the device, the bowl and the collar stand. I also got the case because it was on offer at the show, plus free StylPro brush cleanser to use with it. Ive used it quickly myself just to try it out with my brushes and so far so good….I love it! I’m planning a tutorial on my new youtube channel I am currently setting up here. 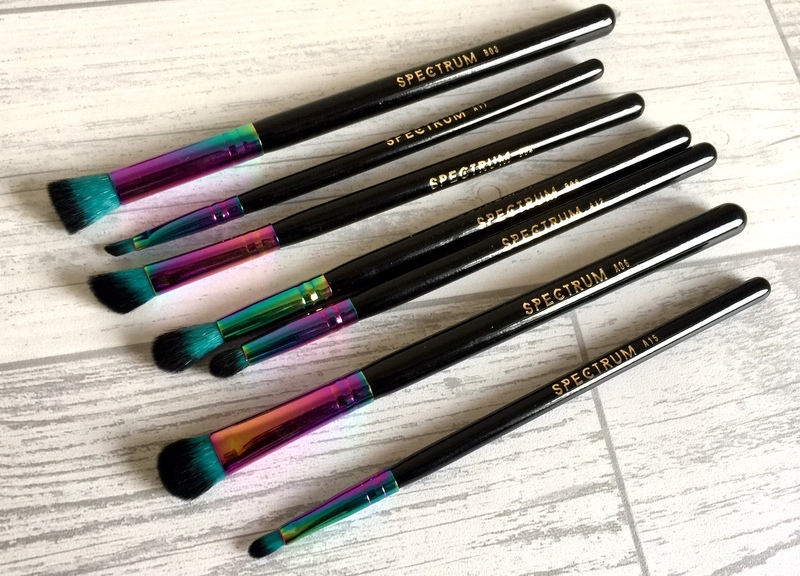 Now if you’re a makeup junkie like me, you would have probably heard of Spectrum Brushes. They make some of the most beautiful brush sets I have ever seen! I would say there stand was one of the busier ones at the show, and it was near impossible to get around and have a look. It involved a lot of ‘excuse me’ and ‘could you pass me that’. But I wasn’t prepared to let this stop me getting my hands on those brushes. I got the ‘black marbleous’ and the ‘siren smoke’ set, I’m sure you will agree that they are gorgeous. 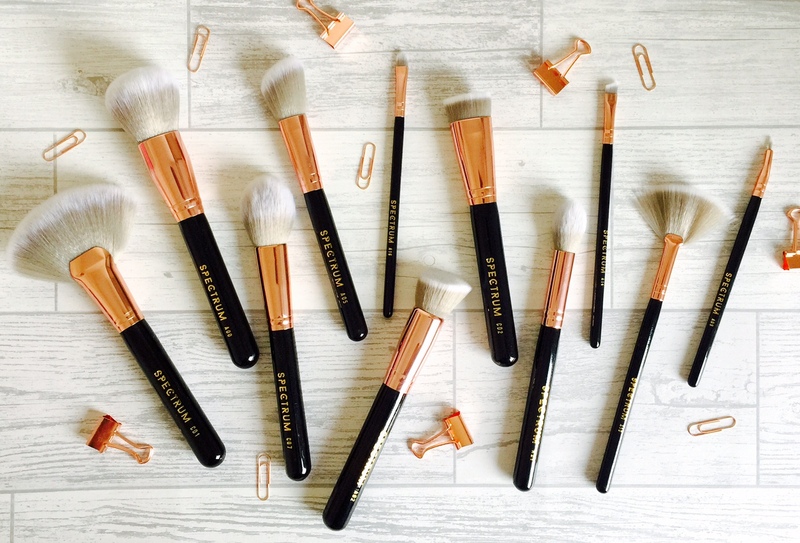 They say they are the worlds most instagramable brushes, and yes I believe that! 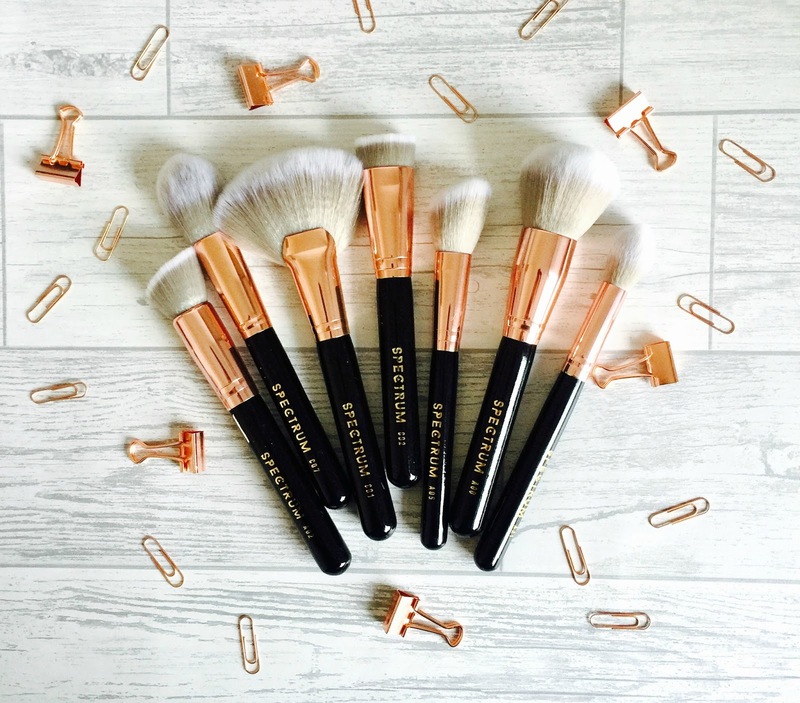 So far I’ve used four of the brushes and wow they are so so soft, they blend makeup like a dream, and are mesmerising to look at. 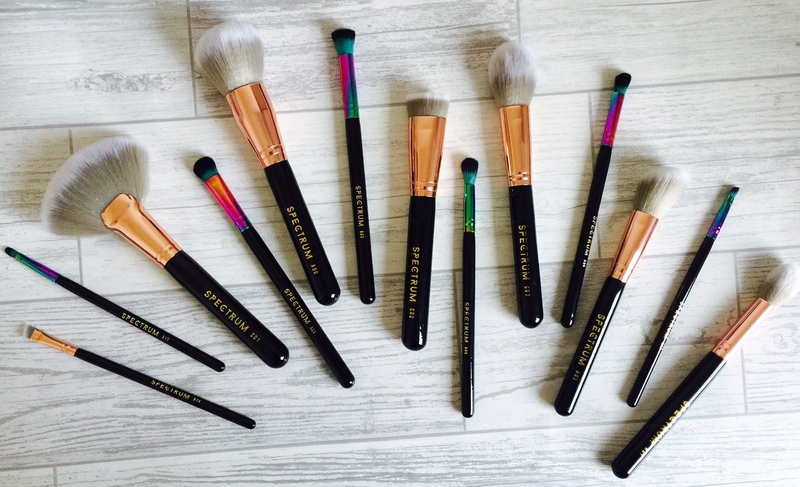 I promise I am not affiliated with them, I just get a tad excited over amazing makeup brushes. The only thing I regret is the fact I didn’t get them all, especially at the prices they were offering at the show. I am praying they will be at Imats London as I plan to go there this year….yes I know more makeup shopping. Another stand I visited was Makeup Eraser, they had quite a small stall but this was probably because they didn’t have lots of different things to display. I noticed the original pink makeup eraser, and then saw all the other colours it comes in. I was drawn mainly to the purple one so that is the one I chose, it did take me a while to choose though I can be so indecisive over things like that. 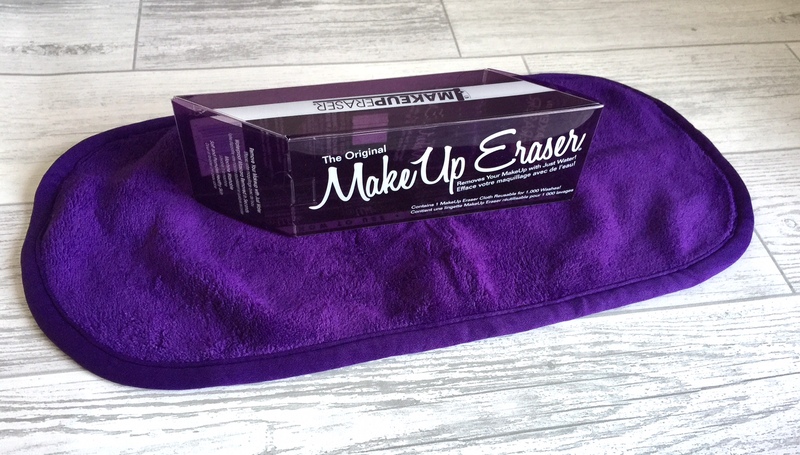 The Makeup Eraser is a cloth that removes makeup completely and quickly using no chemicals or cleansers. There is a shorter side for the removal of makeup and a longer side for the exfoliation after. All you have to do is soak the cloth in water and then use it to wipe your makeup off like you would with a wet wipe; when the makeup is removed turn the cloth over and use circular motions to exfoliate your skin. Whats great about this product is it saves you money in the long run, not having to re buy makeup wipes or cleansers. I have used it and so far I am impressed, to be totally honest I was a little hesitant and thought it wasn’t going to work as well as it did. I love how my skin felt after, and can’t believe it took off my eyeliner and mascara with ease. I haven’t totally stopped using wet wipes, but am using them less and trying to use this more. I would recommend this based on the fact it can save you money, and it will give your skin a break from makeup removers. So there we go, they are the things I bought at Professional Beauty London. I was also lucky to get a goodie bag from the press office filled with samples of different products to try. The majority of it was skincare products, and unfortunately I cannot review them because they were in little foil packets and I can never normally tell wether I like skincare products by one use. I was and am very grateful though and I always love it when you get goodie bags filled with beauty products, makes me feel like a kid at christmas. Hope you have enjoyed reading about my spends in London, let me know if you’ve tried any of them and what you think?